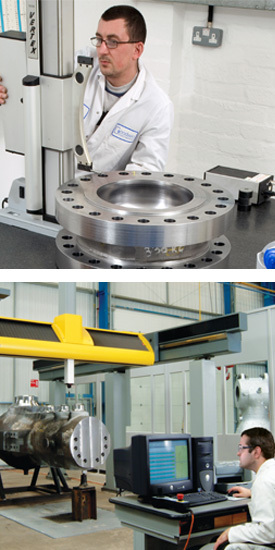 Goodwin is a dynamic and profitable Engineering Group with worldwide external sales in excess of £100 million. In conjunction with the Government's 'Employer Ownership Pilot Fund' the Group is proposing to create a new purpose built training school that will be the centre of excellence for 125 engineering apprentices over the next 5 years. There is a significant skills shortage of high quality engineers in the UK. All the Trainees will go through a formal four year apprentice training programme including off the job tuition in our bespoke training centre. The majority of the training will be in the form of one to one placements at the seven Goodwin UK company sites in Staffordshire, interspersed with weekly high level skills input from specialists withinthe Group. The apprentice project is based around an on the job training concept, which enables us to ensure that the apprentices show interest in what they are learning and that the right work ethic and attitude is adopted from the very start. We are now RECRUITING for SEPTEMBER 2018 intake. To find out more about benefits of joining the Goodwin Apprentice Scheme please click the image on the right to download an information leaflet... Are you 16-18 years of age? Goodwin International Limited is a company registered in England and Wales with number 468115. A subsidiary company of Goodwin PLC. Registered Office: Ivy House Foundry, Ivy House Road, Hanley, Stoke-on-Trent, Staffordshire, ST1 3NR, United Kingdom. All website content including images, video and flash media is Copyright 2012-2019 © Goodwin International Limited. All rights reserved.